Parts Sheet & Update Kit. 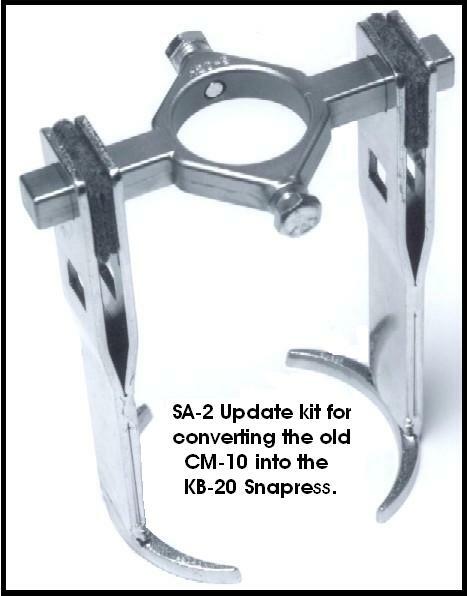 The SA-2 update is available for converting the old CM-10 Snapress into the current KB-20 Snapress. Parts for all of our products are also available & listed below. 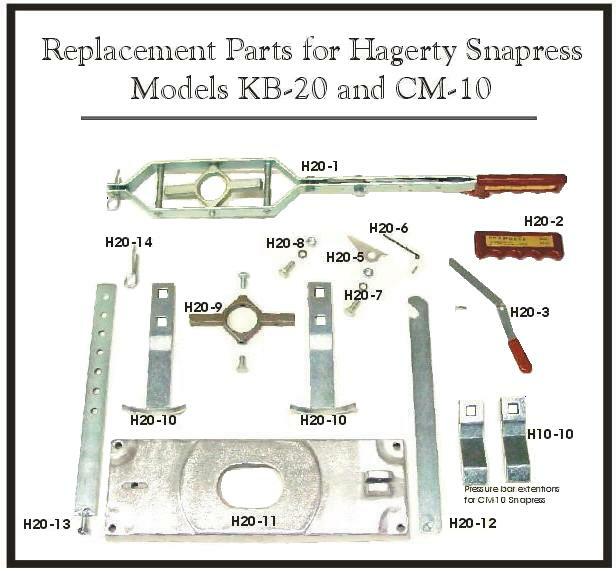 Please note: the H20-10 & H10-10 Extensions are sold each. If you need a pair order 2.